A few weeks ago, Kettle’s Yard reopened after years of renovation. On opening day the queue wrapped around the street corner, proving just how much Cambridge had missed the gallery and house. I choose to visit a few weeks later and it was great to see the new gallery space and interesting pieces being featured, but my heart still belongs to the house and it was a real treat to go back there again. The house, was the former home of art curator and collector Jim Ede and his wife Helen Ede. 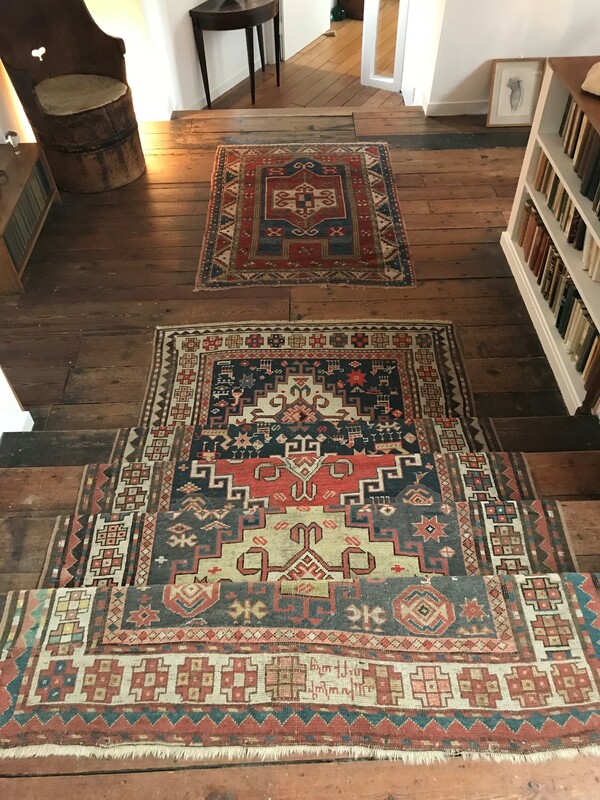 The pair lived in the house from 1958 to 1973 and during this time the house was filled with some truly beautiful pieces of art, artefacts and furniture. 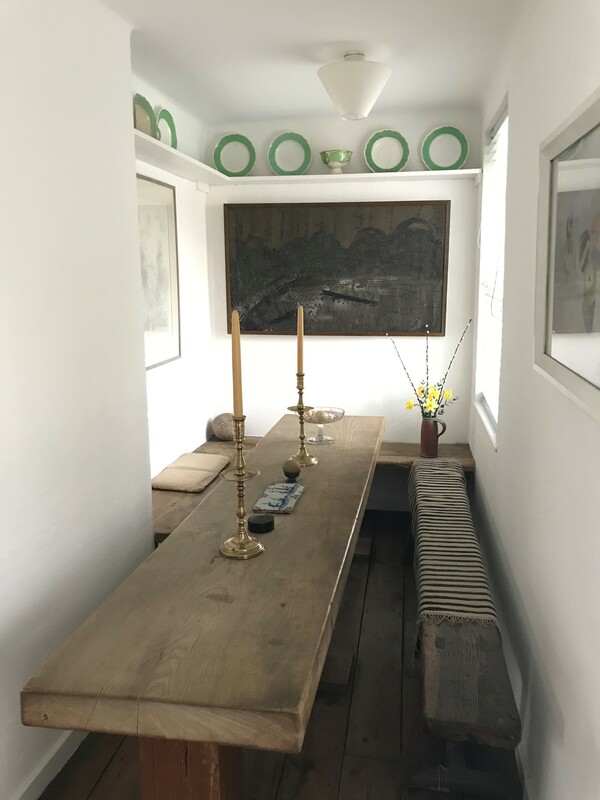 The house has been kept as a time capsule and an insight into the couple’s life; filled with art from renowned names, such as Ben Nicholson and Alfred Wallis, who were also the couple’s friends, Jim and Helen Ede would open their home to Cambridge students making it the most intimate of art galleries. 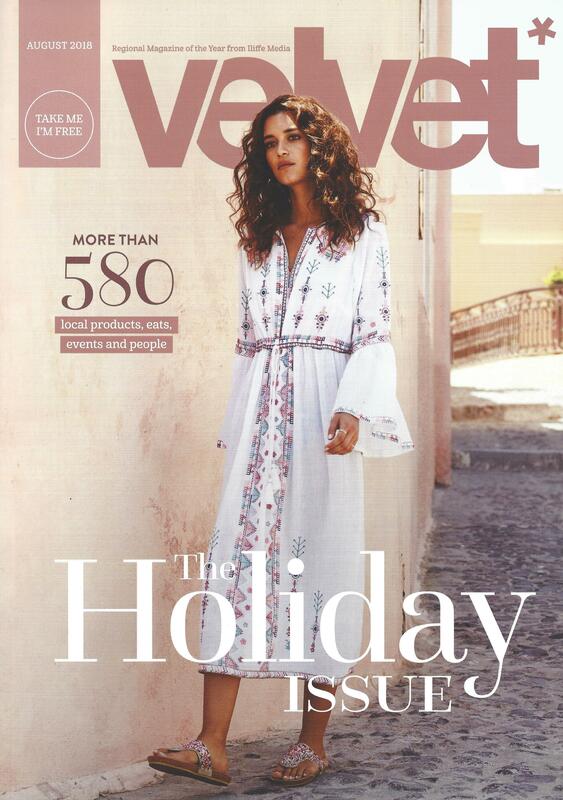 The home’s aesthetic is a cool, contemporary, almost minimalist style with the perfect dose of bohemian touches. This dining nook area is beautifully simplistic. The solid wood table and benches are rustic and strong, while the gold candlesticks and decorative plates add an understated air of glamour. 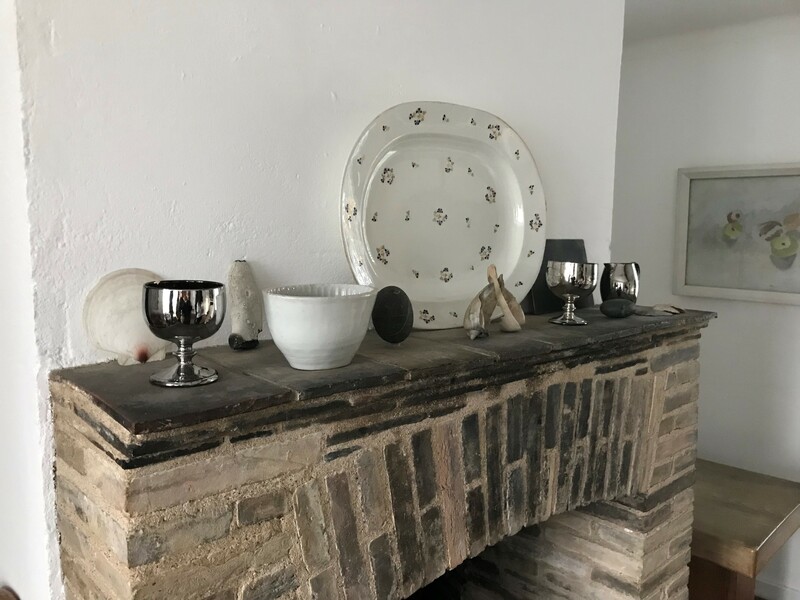 The main fireplace as you walk into the house is unfussy and perfectly decorated with soot build up along with trinkets and ceramics. 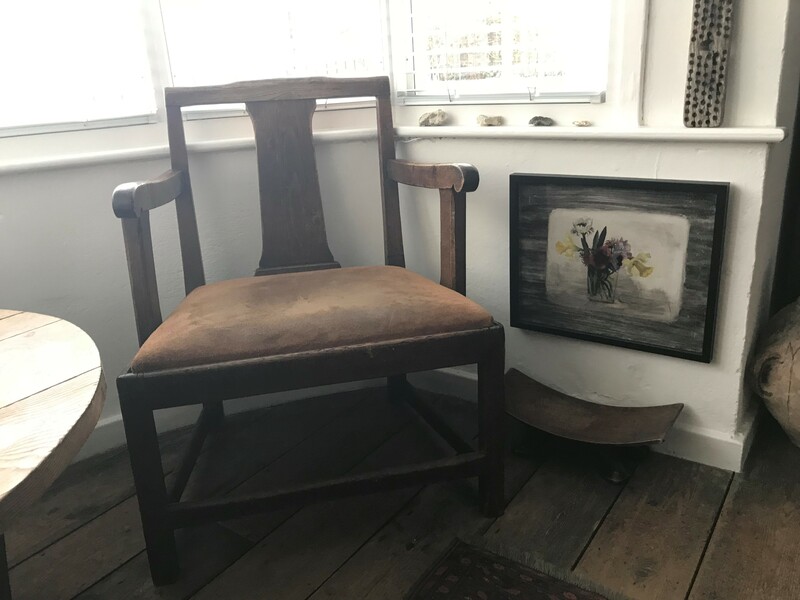 Jim and Helen Ede would hang some of their artwork at a lower level than expected so that they could be look at comfortably from an armchair. The room is filled with interesting and meticulously placed artefacts and objects. 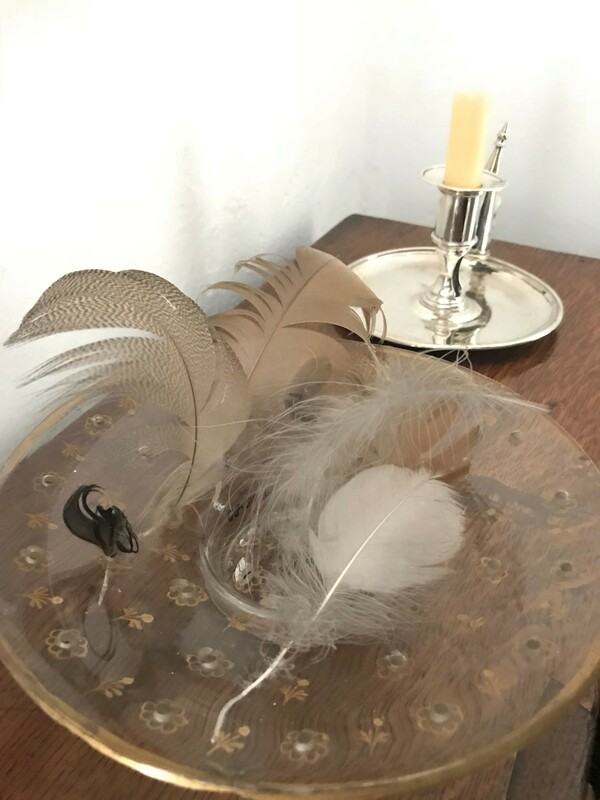 A single lemon placed on a metal dish, a display of pebbles in an ombre effect and a handful of wispy feathers are just a few of the unusual items you’ll find. 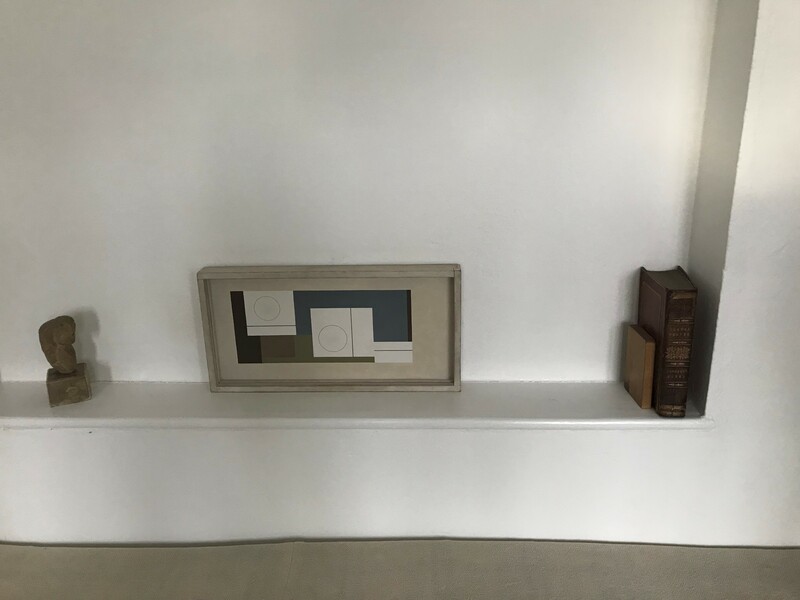 A sculpture, a painting and a single book makes up this satisfying display next to Jim Ede’s bed. 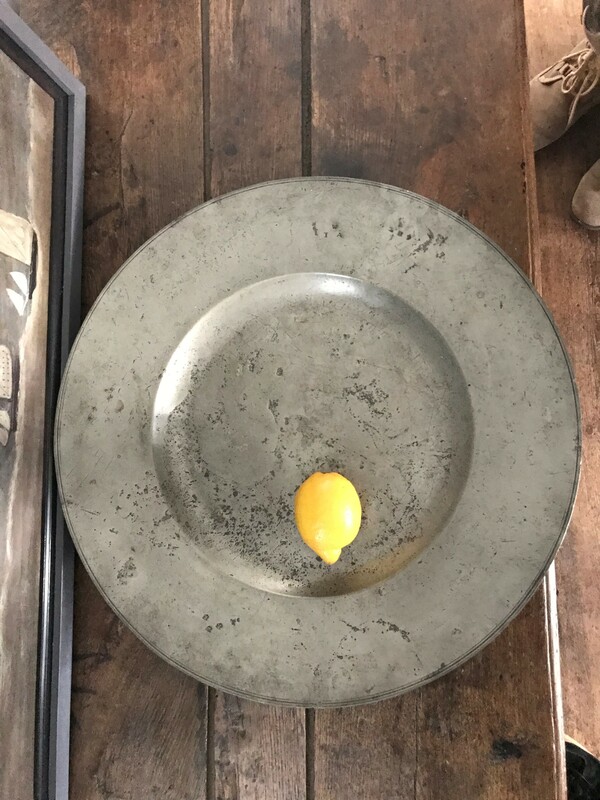 The exclusiveness of the display speaks for Ede’s admiration of the artists; his faith and love for these three simple objects, expresses more to an audience about the items and the feeling of the home than a whole row of items could ever, creating a strong and commanding statement. As you move through the house, up to the first floor of the cottage there is a lovely run through the house into the extension. The length of the house creates an interesting feel, delicate sections and areas are carved out of the main body, making sweet, intimate spots. My favourite is known as the “dancer’s room”, due to the beautiful sculpture that sits on the table, and when hit with sunlight creates a silhouette on the wall. The area is filled with gorgeous rugs and painting, giving you a never ending supply of things to look at. Once in the extension of the house, there is a gallery up top and below a more open space, for hosting guests. This area feel much more contemporary then the previous space, with seventies characteristic. I love the proportions of this section of the lower floor. From the all-white plates to the black and white abstract art, to the beautifully made slate top and wood leg console table, it all works together to create a serene view, with everything in its place. 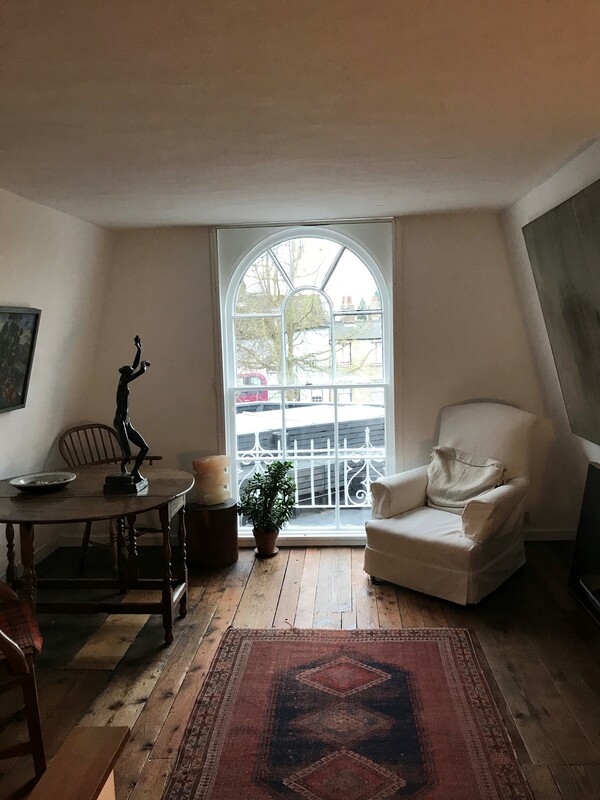 Whether you’re looking for something to do in Cambridge, or interior inspiration, or fancy a little vintage walk back through time, the house at Kettle’s Yard is truly a lovely way to spend an hour or two. 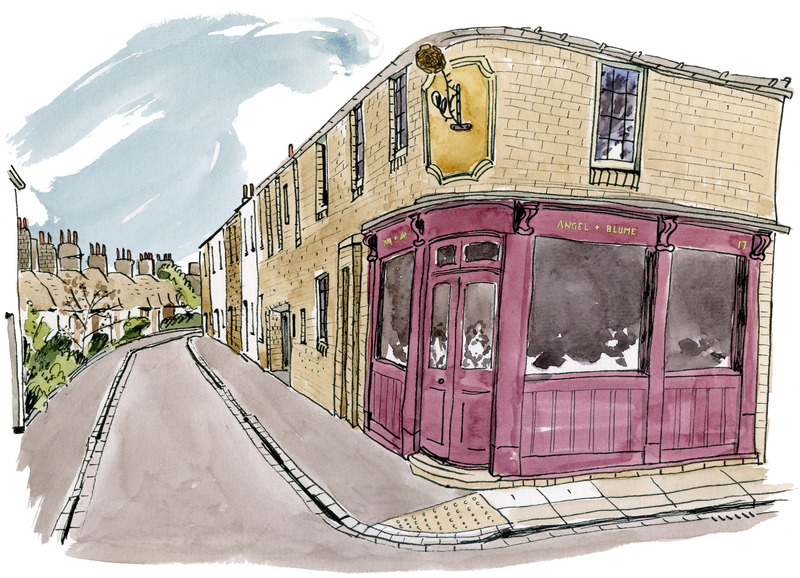 A few years back, Angel + Blume had the wonderful illustrator Angela McKay draw the exterior of our office in her painterly style, which we still love and use today. Her style perfectly shows off the quirkiness of Cambridge, and she’s recently done some illustrations of some of Cambridge’s most iconic buildings, which we thought we’d share with you. Cambridge is filled with some amazing architecture, like King’s College Chapel, which means every route tends to be the scenic route. Here, Angela depicts the grand stature of King’s chapel from a side alleyway, a great way to capture the essence of Cambridge. I love the way Angela’s style tones down the neo-classical, imperial architecture and softens the buildings, giving them the inviting character that Cambridge most certainly has. Finally, a lovely illustration of St John’s College, with its medieval style and mighty towers; Angela has even included another famous part of Cambridge, with a little bicycle resting against one of the towers. Art can be an intimidating business. It shouldn’t be because the purpose of art is primarily about pure delight for the eyes of the beholder but I do understand the home lovers’ dilemma when it comes to what to hang on your walls. In the back of most people’s minds, and I include in this even the most confident of us, is ‘what are other people going to make of the pictures on my walls?’. I’m not going to tackle the enormous subject of how to select your art here (although I am gearing up to this topic so watch this space) but what I am going to talk about now is the incredibly good news which is that, and I really mean this, how you present and hang your art is almost, indeed dare I say as important, as the art you choose. These lovely simple botanical drawings make a huge impact hung in a group and against the backdrop of Fired Earth’s delicious South Bank paint colour. The clever addition of the bench and cushions picks up the colours in the paintings and visually anchors the artwork. When I hang art for clients, which is a task I love because it makes such a difference to how an interior looks, the first thing I ask them to do is to get all the art they have out (and this should incorporate everything – original paintings of worth or not, prints, framed posters, family pictures, sculpture, home-made craft projects and so on) so that we can look at it and discuss what they actually like and what they are less keen on but may have a good reason (or not) for keeping. 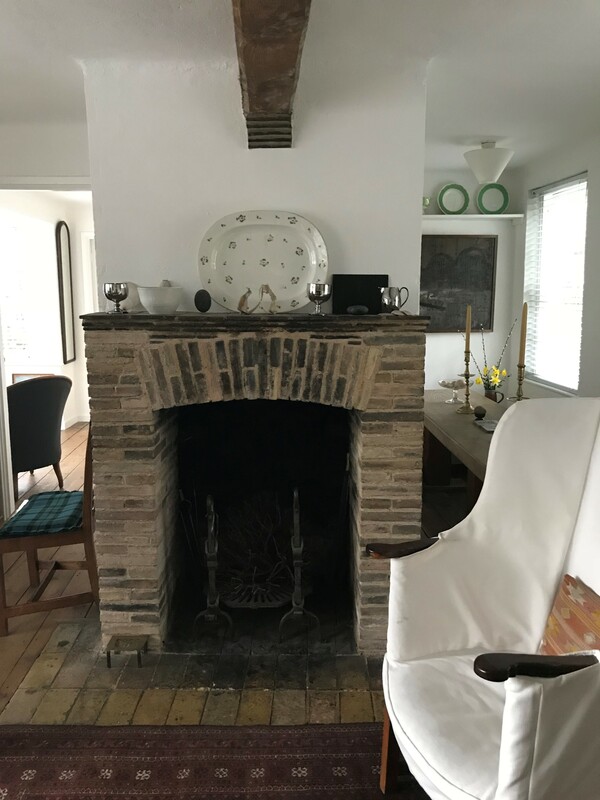 In this exercise I am primarily interested in noting what their most loved pieces are which should be displayed in key areas (master bedroom, entrance hall, main living room – wherever a household spends time) and what is less loved but can find a home in a lesser used area of a house (cloakroom, guest bedroom, back entrance hall). Once we have had this frank conversation, which is not always easy, I then start to think about where to place artwork in the home. It helps to bear in mind that artwork does not have to match an interior scheme, in fact I like a picture to bring something different and eye-catching to the look of a room, but it does have to look comfortable in the space, not overpowering everything else or being overwhelmed itself. I often feel rather shame faced when I visit the fabulous Fitzwilliam Museum because I tend to head for the first floor galleries which I love and as I try hard to concentrate on the artwork I find my mind pondering exactly what colour the wall behind the great masterpiece is and examining the way the lighting has been achieved. I know I am supposed to be looking at the artwork, but actually it is the whole experience of those rooms that makes me love the galleries and whilst the rooms are certainly not pretending to be domestic interiors, I find the combination of the artwork with the rich background colours, the dark wood flooring, the lighting and the occasional pieces of furniture is what makes me very happy. The moral of the story is that an interior is a collage of many elements and if you get the balance right, the effect is glorious; out of balance and beautiful things suddenly can’t come to life in the way that you want them to. Putting a treasured painting in a master bedroom ensures it is regularly seen and enjoyed. 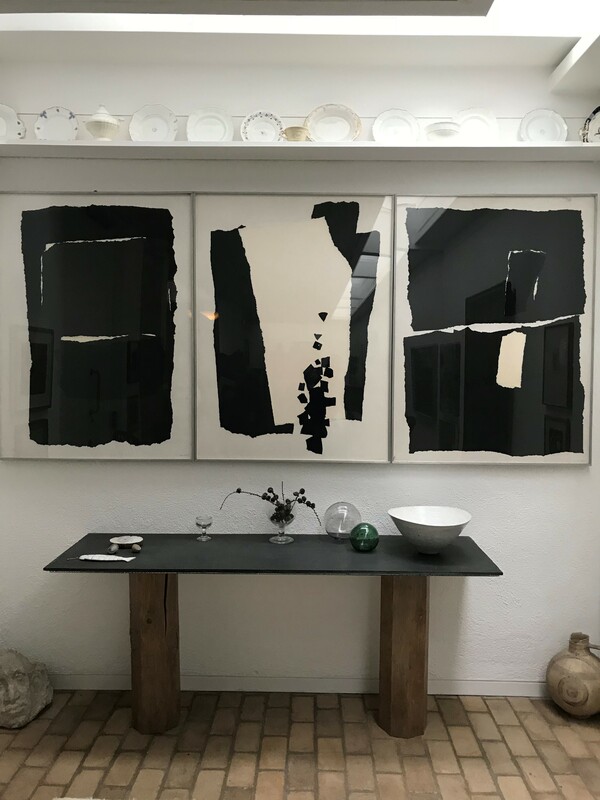 When you have got an idea of where you want your pictures to live, the art of hanging them well starts with checking the space around the piece – they need enough space to be seen and to shine on their own merit but also some reference to other furnishings or pictures. For example, a piece of furniture under a picture usually helps to visually anchor the artwork – you need to leave enough space between the furniture and the picture to allow some accessories on the surface, the picture should not hang so low that accessories obscure the picture and not so high that it is hanging in mid-air with no reference to the things below it at all. The best way to hang pictures is to get someone (one or more people depending on the size of the work) to hold the picture in place and then get them to go higher, lower, right a bit, left a bit until you find the place that the picture looks comfortable and hopefully before the holder’s arms start shaking and a row beings to brew. I generally find that pictures are hung too high – go as low as you dare and try to remember that being able to see the painting comfortably, even when you are sitting down, is also an important part of the exercise. I cannot emphasise how important framing is and this decision includes whether to frame or not, as certainly not all artwork needs framing. Spend time, effort and money (as necessary) on making the absolute best of your artworks by considering how best to present them. A clever framer is a very good friend of the interior designer and I always make sure that I ask the advice of my framer as a starting point, who will generally consider the right approach to make the best of the picture, but then I may add an opinion on the look that we are creating in the interior. We tend to agree somewhere between the two which should ensure that the final approach adds to both the artwork and the interior. Moving pictures around is a surprisingly effective way of giving your home a bit of an update. 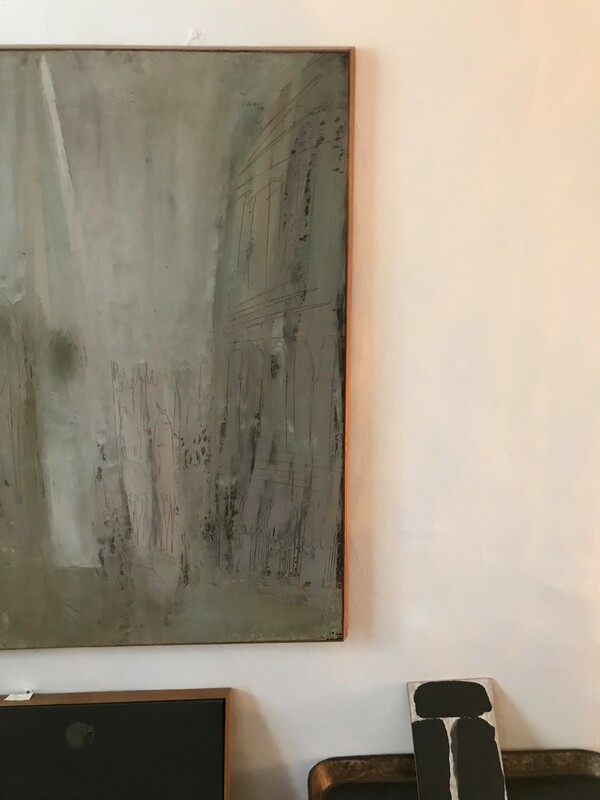 I would like to say that I do this regularly but realistically it only really happens when I buy a new picture and move current ones around to accommodate it, but I am always surprised at the impact that a picture’s surroundings has on how the artwork itself is perceived. I recently acquired a lovely bright yellow velvet occasional chair which has found a very happy home in the corner of my bedroom. Interestingly three people who visit the house regularly asked, on completely separate occasions, whether the picture above it was new. In fact the picture has been there for quite a while and features quite a strong dash of yellow and I can only assume that the new chair combined with the painting draws the eye to the corner of the room more than before. Whatever it was, it is interesting that even a small change around can suddenly bring artwork, and it surroundings, to life. Much as I love to see beautiful photography in an interior, which should be hung with the same consideration and principles as your other artwork, I also like to see personal photographs in a home as they so instantly individualise a space. These will probably not be the beautiful specimens that the great photographers produce and so need to be handled accordingly. Groups of photos (either in standing frames or wall hung) can be a good way to display images of family, holiday or a general hotchpotch of memories and should be thought of as an explosion of emotion, rather than a focus on one particular shot. A group of photos can also be added to and changed as life moves forward, which keeps your display up to date. Don’t feel you have to include every image, or record every event, or heaven forbid, have a photo of every family member (although you may have to swap pictures in on critical occasions so as not to cause a family dispute) – personal photos in your home are not an absolute record of your life, but an accessory that should lift your heart when you glance at them. Lighting is crucial for artwork (indeed for interiors generally and is a huge topic in itself). Think about what light you need for your artwork in daylight (which might still include artificial lighting) and what you need at night. You don’t have to only consider the traditional picture light – a light from the ceiling or a floor-standing uplighter can work really well too. Just as lighting art well is important for enjoying the work, shielding it from the sunlight is important for preservation purposes and should also be considered carefully. Finally, I wish to joyfully dismiss the idea that you can’t hang pictures on wallpaper. You can and you should. Wallpaper is a splendid backdrop to your pictures, you will just need to be careful that the wallpaper doesn’t overpower the art either in terms of colour or pattern or both, it should be a backdrop so ensure that your art, not your wallpaper, is the star. 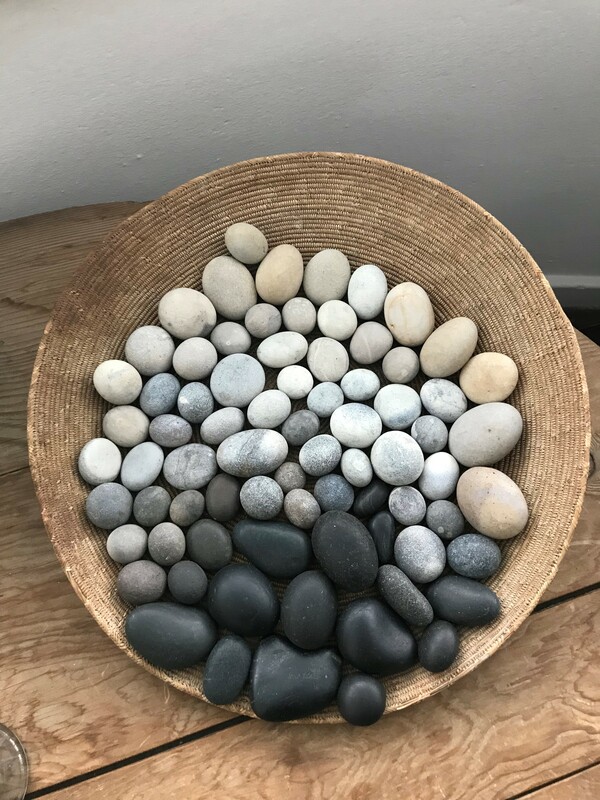 I have realised whilst I have been writing this piece that there really are a multitude of considerations when hanging artwork so what I say to you is don’t be overwhelmed by the task – get your picture hooks and hammer out and have a go. Unless you are wildly wrong, in which case you will have to get a pot of paint out, the new position for the picture will cover the first (and subsequent) hanging attempts and if you live with your efforts for a few days, you will soon know whether you got it right or not. I have rarely seen an interior that doesn’t benefit from having artwork on the walls so be brave and get those pictures hung.